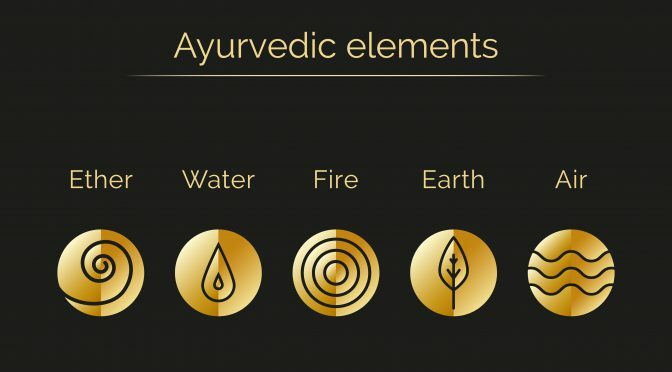 Ayurveda is an ancient Indian system which has as its foundation the concept of the three doshas, or three different basic types of constitution. It is based on the concept of all the five elements of the body being in balance and indicates disease tendencies when they are out of balance. In order to establish health and treat disease in Ayurveda, the person’s biotype, or dosha, must first be established. The biotype determines how we as individuals are predisposed to certain diseases and how we respond to disease. When the bio-energies which make up the biotype are out of balance, the body is more susceptible to illness. Each biotype tends to manifest disease symptoms with characteristic properties in specific parts of the body and has an inherent weakness in these areas. Any imbalance in the bio-energies must be addressed for the healing process to take place and the treatment will be chosen according to the biotype and not according to the symptoms of the disease per se. Ayurveda is most effective in treating chronic diseases which are not often responsive to Western medicine. Each dosha has a predominance of two of these five elements and delineates certain characteristics of the individual. The individual is treated according to their dosha, and a combination of diet, herbal treatment and lifestyle combine to bring these elements back into balance and enable that person’s health to be restored. Each herb has a particular combination of these elements, referred to as “energetics”, and is selected to balance these elements in the body. Herbal treatment requires the additional support of the proper diet to be effective. bitter, pungent (spicy), sour, sweet, salty and astringent. The energetics of food, as is the case with herbs, is a means of balancing the biological humours (“doshas” in Ayurveda). This will alter according to the dosha imbalance, the seasonal variations and the stage of life, and so the diet will need to be adjusted accordingly. The energetics of food can be changed by cooking them, adding spices or by preparing them in oil. The three primary biotypes or doshas are vata, pitta, kapha. Vata is conceptually made up of the elements air and ether and translates as “that which moves things”. It governs the movement of air through the lungs, of blood through the circulatory system and of thoughts through the mind and governs the processes of mental balance and comprehension. Its properties are cold, dry, light and mobile. Vata resides in the colon as well as the empty spaces of the body (sinuses, throat, lungs, œsophagus). When in excess, vata causes dehydration, impaired elimination, nervous tension, arthritis and effects of old age. There tends to be flatulence and constipation, nervous disorders, pain and insomnia. These people tend to burn themselves out through excessive activity. Pitta is conceptually made up of the elements fire and water and translates as “that which digests things”. It governs the metabolic processes and is responsible for maintaining heat and warmth in the body. Pitta helps people to digest ideas and impressions and to perceive reality. It stimulates the intellect and engenders the capacity for enthusiasm. Its properties are hot, sharp, fluid and acidic. Pitta resides in the small intestine, sweat, blood and lymph. It also resides in the liver, gall-bladder and spleen. When excessive, there will be hyperacidity, inflammation and infection, ulcers, irritated skin conditions, increased body temperature and consuming emotions such as anger. Vata types need to be “grounded” with oil massage, earth-oriented activities such as gardening or walks in the woods, and a diet which is nutritive and strengthening with a predominance of sweet, sour snd salty tastes. Food should be warm, heavy and moist with avoidance of stimulating beverages such as coffee and alcohol. There should be an emphasis on grains such as oats and millet, root vegetables such as sweet potatoes, starchy fruits such as bananas and avocadoes, nuts and seeds such as almonds and sesame. Food should be lightly cooked and taken warm. Mental activity should be avoided in the evening, and this includes reading, listening to loud music and watching stimulating movies. Excessive physical activity should be avoided. Foods to be avoided are those which are bitter, astringent, dry and very pungent e.g. raw onions, raw garlic, dried fruits, dry cereals, animal fats, pork, refined sugar, chocolate should be avoided as they cause flatulence, particularly kidney and soy beans. The brassica family of vegetables e.g. cauliflower, cabbage, Brussel sprouts, should be avoided for this reason. Pitta types require a cooling diet with bitter, sweet and tangy flavours. Spicy, salty and sour food should be avoided. Food fried in oil, highly spiced food and late meals should also be avoided. Meals should be taken in a calm atmosphere. Because of their susceptibility to liver disease, pitta people should be cautious about consuming alcohol and fatty foods. Raw fruits and vegetables are very beneficial. Vegetables may be alternately lightly steamed or stir-fried but not over-cooked. Fasting increases pitta and is not recommended. However, twice a month, a fruit juice fast consisting of grape juice may be undertaken. Foods to be avoided are raw onions, nuts, especially peanuts, peanut oil, pork, lamb, beef and shellfish, hard cheeses, cayenne pepper, chili, black pepper, garlic, mustard, horseradish. The diet should contain very little salt and plenty of fluids. Tomatoes, mushrooms, radishes, eggplant, beetroot and turnip should not be eaten too often. Kapha types require a diet that is warm, light, dry and spicy with pungent and bitter tastes. They should avoid food that is cold, heavy and oily and foods with sweet, salty and sour tastes. As they have a tendency to put on weight, they need to eat less food and have the main meal at mid-day. They should have a very light meal in the evening several hours before going to bed. Vegetables should be lightly steamed or stir-fried with spices using very little oil. These people tend towards an overproduction of mucous. Aerobic exercise and occasional fasting is very beneficial to the kapha type. Pungent tasting foods (spices) are composed of air and fire, and these stimulate the circulation and remove mucous. Bitter tasting foods e.g. bitters, radicchio and arugula are composed of air and ether and these dry up mucous secretions and reduce the desire for sweet foods. Dense, starchy foods such as bananas, sweet potato, pumpkin, oats, dates and avocadoes are not recommended for kapha as they have a sweet taste and are composed of the same elements as kapha (earth and water). All nuts are best avoided. especially peanuts, brazil nuts and macadamias, as they are very oily. Dairy foods are to be used sparingly as these people often have milk allergies but can tolerate goat’s milk. A list of recommended foods for your Ayurvedic type, together with a detailed diet, will be given to you at your Ayurveda consultation at View to Health.